Today’s track is found inside Ernst Happel Stadium. 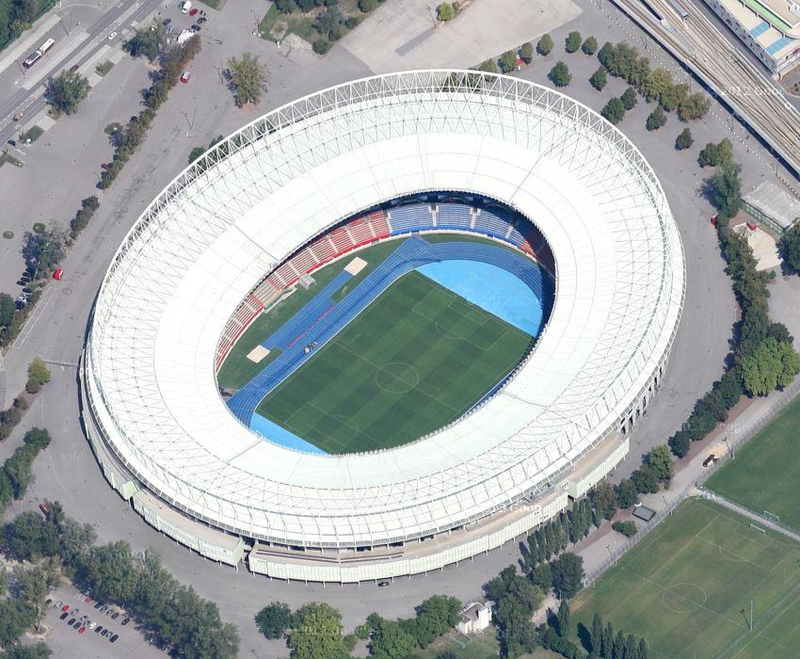 It is the largest in, and is the national stadium of Austria. This is an old stadium, originally built in 1939. It has a seating capacity of 50,000 people. It was renovated in 1986, but the blue track surface was much more recent than that. It was the typical red prior to the new blue that it has now.